Donald Trump is "morally unfit" to be in the White House, according to a former boss of the FBI. James Comey was fired by the US President last year. In an interview with ABC News that was aired last night, Mr Comey claimed the US President talks about and treats women like they are pieces of meat. 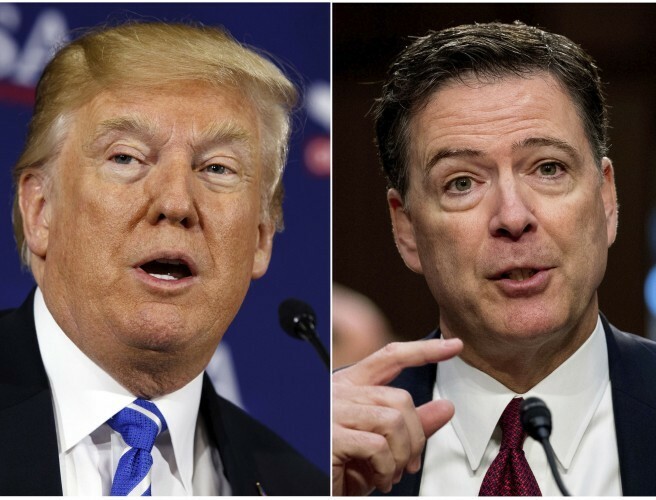 Commenting on President Trump's fitness for office, Mr Comey argued: "I don't buy this stuff about him being mentally incompetent or early stages of dementia. He strikes me as a person of above average intelligence who's tracking conversations and knows what's going on. He added: "A person who sees moral equivalence in Charlottesville, who talks about and treats women like they're pieces of meat, who lies constantly about matters big and small and insists the American people believe it... that person's not fit to be president of the United States, on moral grounds." Mr Comey, whose book A Higher Loyalty has already become a bestseller ahead of its release this week, also said he compares Donald Trump to a 'forest fire' that will cause 'tremendous damage'. However, he also suggested that a forest fire "gives healthy things a chance to grow that had no chance before that fire". He explained: "I see the kids marching in the streets, including my own kids, about guns. I see all kinds of civil society getting engaged. I see parents talking to their kids about truth telling and prejudice and bias and respect. "That was not happening three or four years ago. And so there's a lot of good growing."